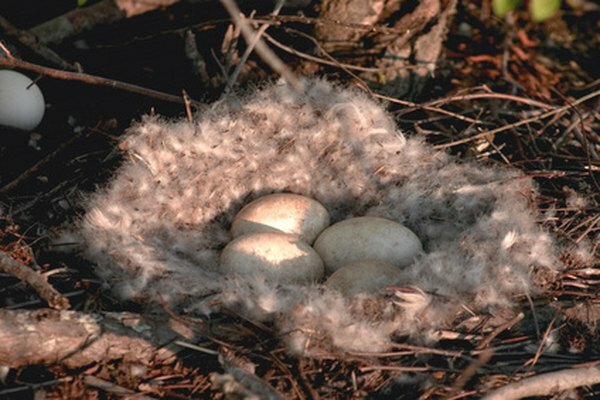 When a mother bird's nest and eggs are left unattended on the ground, this open invitation for an outside predator’s egg dinner will have kind-hearted bird lovers scooping up the nest for home care. There are in-home options for caring for baby bird eggs. However, it is strongly recommended by most avian experts to refrain from taking care of bird eggs and baby chicks. 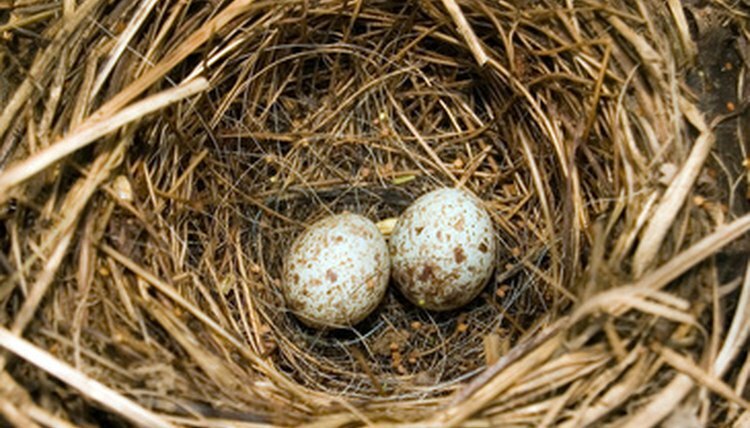 First try bringing the nest back to the mother bird by securing it in a home, such as a small birdcage or shoebox. Do not assume that the mother has abandoned her eggs just because the nest is no longer in a tree. Mothers will continually search out their young and tend to them even if they are on the ground. If you know the general vicinity of the bird’s mother, hang the cage or box from a low branch in the same tree she inhabits. Create a home for the eggs if you are sure that the mother bird is not coming back. 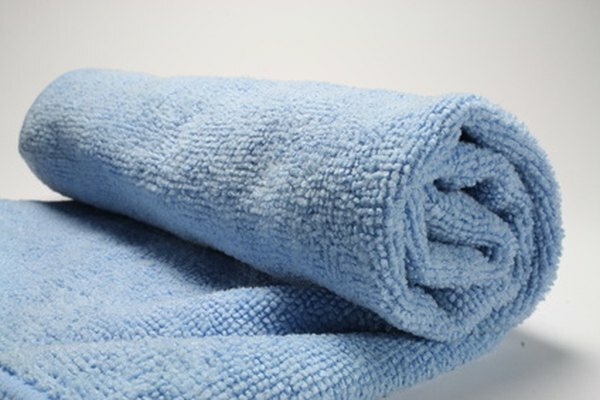 If the eggs are still in a nest when you find them, reinforce warmth by placing the nest in a box lined with a blanket or towel. Incubate the eggs. Even with blanket protection, you will need to incubate the abandoned eggs with a heat lamp and aim its rays directly onto the eggs, to take the place of the mother's body warming the eggs until they hatch. Alternatively, purchase an incubator from such websites as DJ Quail Eggs or Poultry Supply. When using a heat lamp, make sure to rotate your eggs several times a day. The website Incubators Info has a chart of bird types along with how long the eggs should take to hatch along with information on bulb wattage. Remove odorous or discolored eggs. Eggs that are emitting an odor or turn a different color indicate a death within the egg. Find food for the young birds when they hatch. For common wild birds, such as robins, soft cat or dog food can be used as food for young chicks. The website Wild Bird Care Centre has a list of appropriate foods for specific bird types. 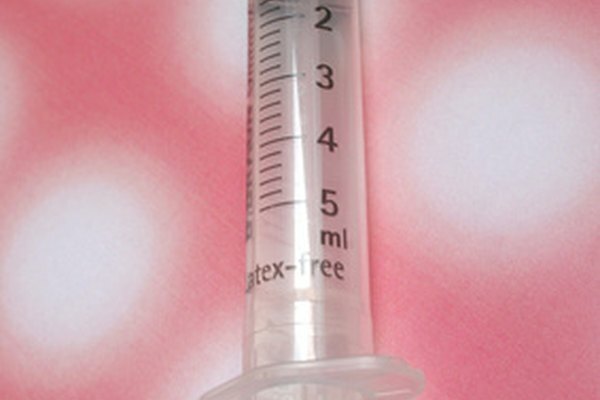 Using a syringe, an eyedropper or the back end of a chopstick, carefully inject the food into the baby bird's mouth at the back of the throat. Continue doing this until the bird refuses to take any more. Contact a local wild bird rescue organization for further help. It is illegal in most states to keep a wild bird or animal as a pet in your home. I have created a video about the dangerous thigh-gap body image trend that received over 20,000 views and over 150 comments, as well as a comparison video for Urban Decay's "Naked 2" palette for fake palettes that has over 85,000 views, and a DIY video that has more than 30,000 views. Online presence with plenty of use interaction. I have also been in many plays throughout my years and have taken drama classes, appeared on television, and took Journalism-Print. What Do You Do When You Find Bird Eggs in a Nest Without the Parent? What Are the Different Types of Bird Nests?